Have you ever heard a successful author discuss his or her idea generation techniques? If so, you probably remember at least one talking about keeping a digital voice recorder, or pad and pen, readily available 24/7. This means that whenever and wherever inspiration strikes, a great idea is not forgotten. Maybe your problem is not forgetting ideas for topics to write about. Perhaps you just can’t seem to grease your mental gears and come up with an idea for your next e-book. The good news is, there are plenty of proven ways to give your brain a kick-start so you come up with a killer topic for an informative, engaging and financially successful e-book. Here are a few ways you can come up with a great e-book idea every time. 1 – Ask your audience. You can do this through a blog post, survey or email autoresponder sequence. This works well for a couple of reasons. It allows you to put the power of multiple minds to work for you, and ensures you will have people interested in purchasing the final product. 2 – Think “how to avoid _____”, filling in the blank with something that applies to your area of interest, blog or marketplace. How to avoid “gaining weight on the holidays”, “re-gaining weight after losing it” or “cheating on my diet” are all great ideas if you have a weight loss blog. 3 – Cheat. Let successful writers do all the work for you. Check out a magazine stand, a bookstore or library. Look for titles that relate to your blog or online business, change the title but keep the topic of the book or magazine, and get to work. 4 – Browse online groups and communities. Forums, chat rooms and social media sites are great places to look for free information regarding your area of expertise. Type “your niche forum” into Google, obviously replacing the phrase “your niche” with the focus of your blog or website. Replace the word “forum” with chat rooms, social media sites, Facebook pages and other phrases that describe where people hang out and talk about their problems and interests. 5 – Reread old blog posts. Your blog posts and web pages contain a lot of information. This is a simple way to brainstorm ideas for a possible e-book. 6 – Think about what problems you can solve in your marketplace or field of knowledge in a short period of time. Ebooks that promise results in 7, 14, 21 or 30 days sell extremely well. 7 – Write about something you recently did in your business. Did you just start building an email list? Are you good at giving webinars? Bloggers and other online business owners looking for ideas to write an e-book about need look no further than their own online presence. 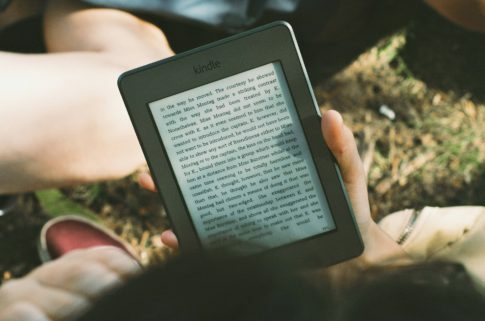 « How Long Should a Paid eBook Be?